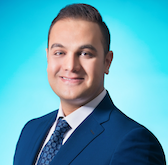 Arman Siahvashi, is completing a PhD in natural gas process engineering. His research focuses on the generation of accurate experimental data on freeze-out of impurities in complex hydrocarbon systems during the liquefaction of natural gas (LNG) to better predict blockages, avoid LNG plant shutdowns and provide a more reliable risk assessment while the plant is operational. He has received his award at a ceremony in Perth on 15 August. 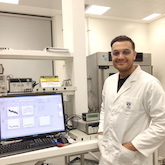 "I am extremely honoured to represent UWA and receive the ExxonMobil Student Scientist of the Year Award," Arman said. 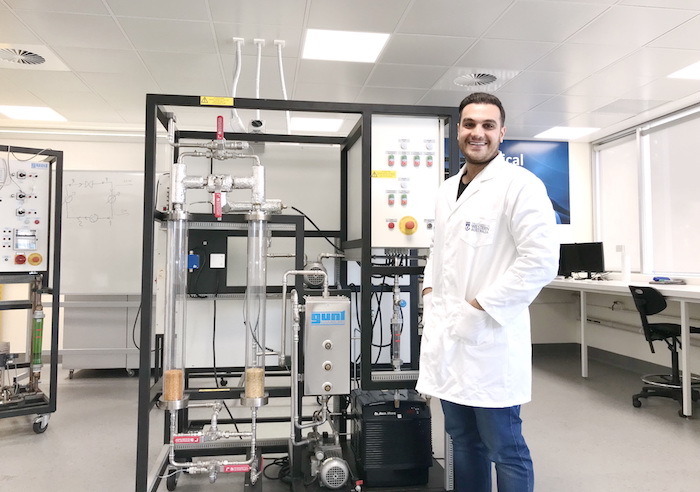 "However, winning this is certainly not something that I did alone, and there are many others who deserve to share in this award, and without them winning this would not have been possible"
Arman has developed an innovative apparatus to visually measure the freezing temperatures of hydrocarbons at cryogenic temperatures, data which are crucial to solve one of the major problems facing liquefied natural gas (LNG) industry: plant shutdowns due to the blockages caused by the freeze-out of impurities. "Recently, my novel method has been endorsed by NASA, due to its relevance to their study on weathering processes of Saturn's moon Titan," he said. Arman jointly received the ExxonMobil Student Scientist of the Year prize of $10,000 with Ryan Urquhart from Curtin University. In addition to the Student Scientist of the Year award, Arman was awarded the Alexander Cohen Convocation Postgraduate Research Travel Award on 16 August at the 2018 Convocation Awards ceremony. He will use the Convocation award to further his research in this field, travelling to the United States to visit NASA's Jet Propulsion Laboratory at the California Institute of Technology, and giving an oral presentation at the North American Calorimetry Conference and International Conference on Chemical Thermodynamics in California. Arman has also been awarded and nominated for several prizes in recognition of this novel approach, such as National Measurement Institute Prize and WA Innovator of the Year as part of Woodside Oil and Gas Encouragement Award.